to create an Ombre dip dyed effect. 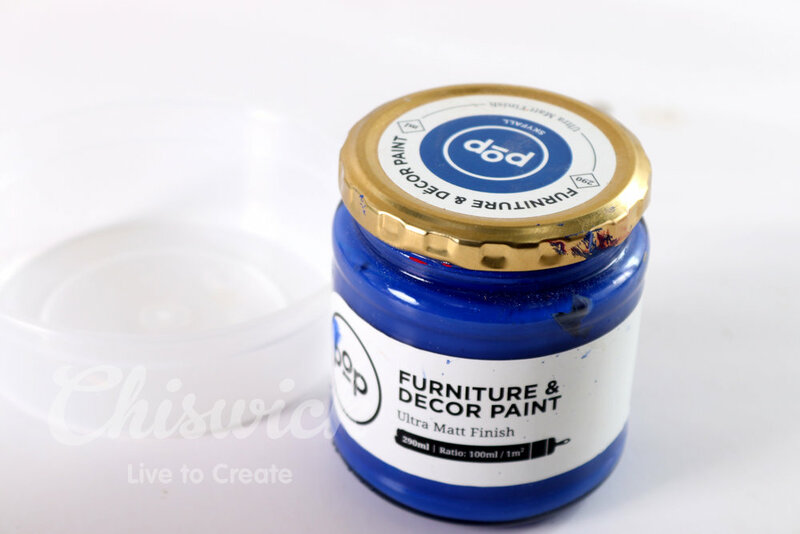 It was the easiest project to date with my POP Paint – and the end result simply gorgeous. I used a single blue to create this amazing effect. step 1 – I selected POP Paint Skyfall for my project. *My curtains are cotton mutton cloth so took the colour really well. **For the sxs I used a cotton serviette – cotton colours really well using POP Paint. 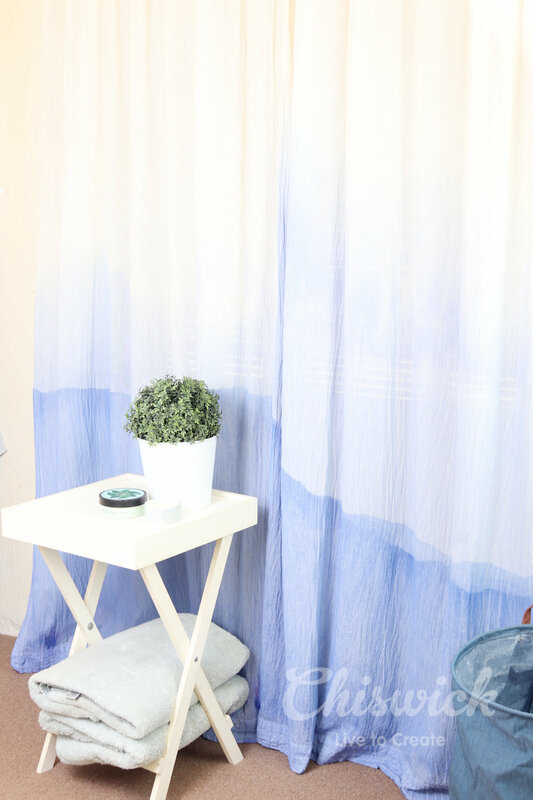 *For this project and sxs I am simplifying the process of dying my curtains with a smaller piece of fabric. 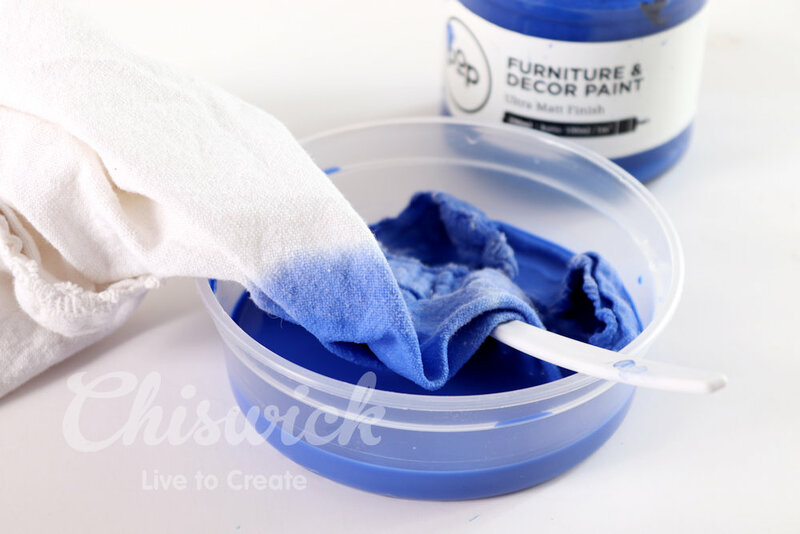 step 2 – Dissolve the paint into a 5L bucket. I used a 190ml jar of Skyfall dissolved into 5 Litres of luke warm water. 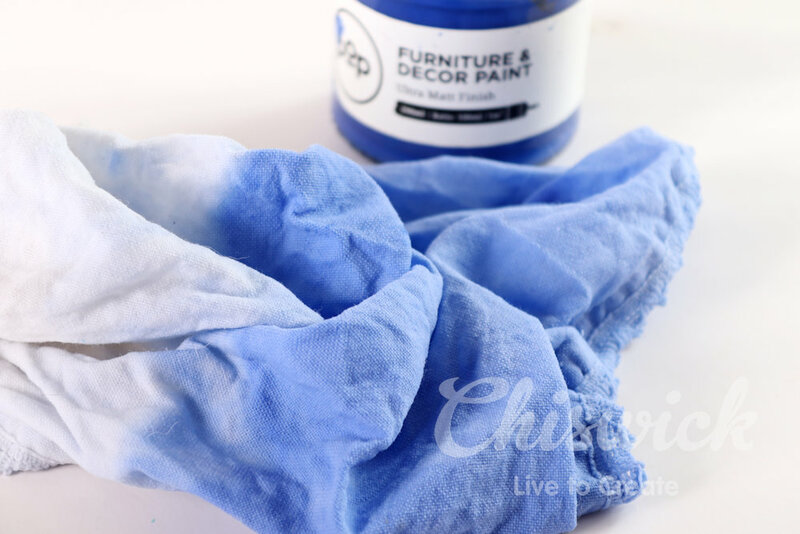 step 3 – Soak the bottom of your curtains into the dissolved paint bucket up to the line where you want the colour to end. I went about halfway for 4 minutes. Pull up the curtains about 25cm and soak for about 10 minutes in the paint. Pull up the curtains again as far as you want and then soak in the colour for about 20 minutes. 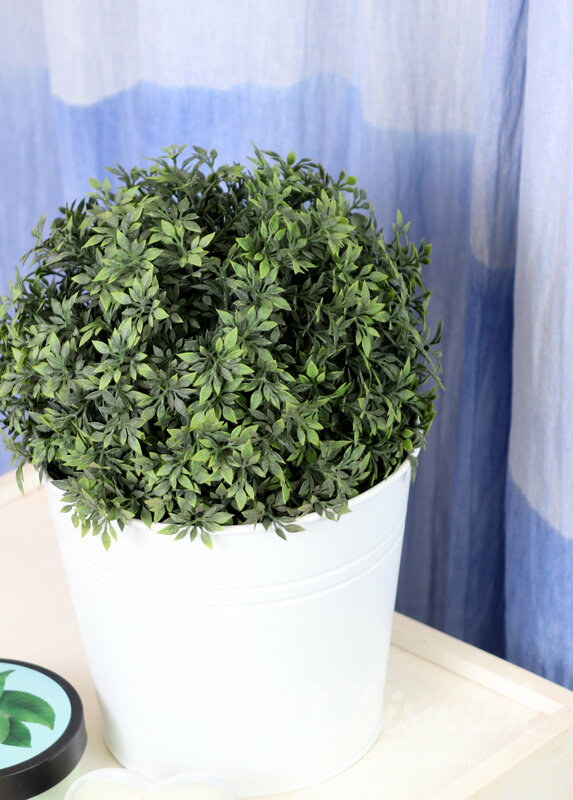 step 4 – Remove the curtains from the bucket and wring out well to remove all water. 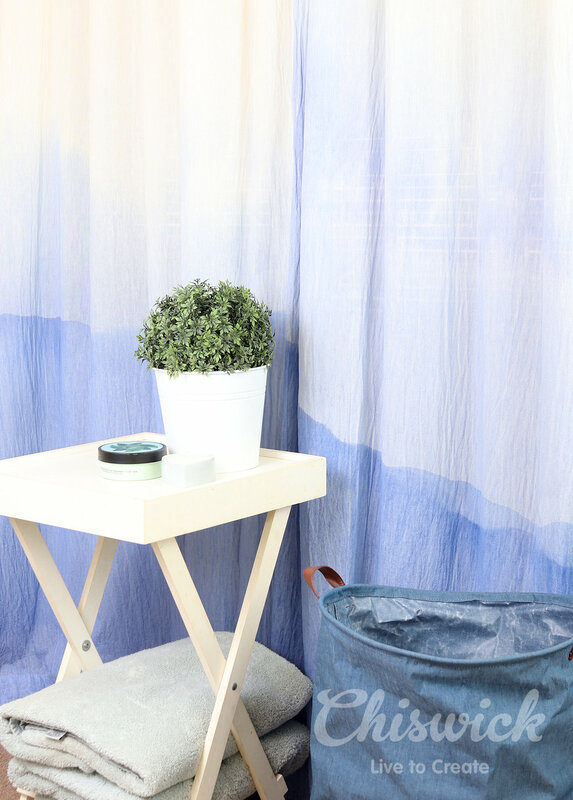 Hang your curtains on a washing line to drip dry. Then tumble dry them to heat set the colour. The colour at the top ended up being light, then faded to the bottom to a dark blue. So the longer I left my fabric to soak the darker the colours ended up being. I had a nice uneven line because i soaked them unevenly – the look is informal and fun. I have washed them once so far and the colour has held up great. 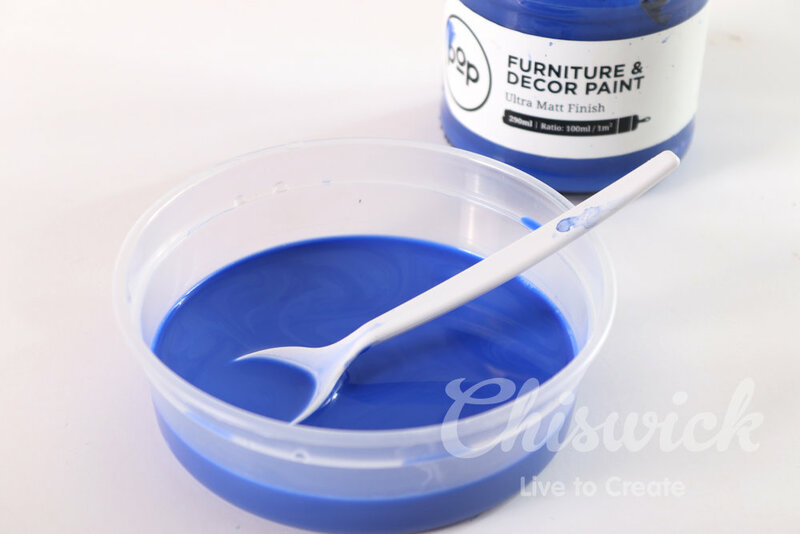 Have you tried colouring some of your home decor items with POP Paint yet? It is loads of fun and so easy. Next up some white pillowcases….roll on weekend.